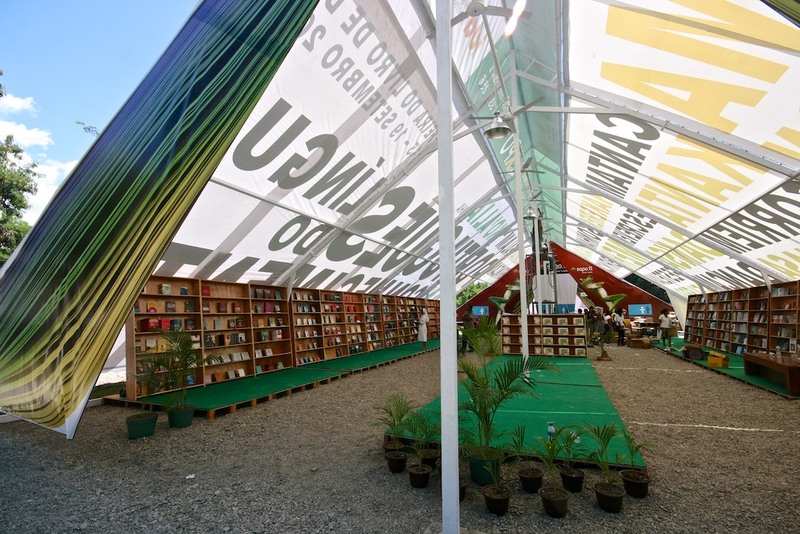 Feira do Livro de Dili (Dili’s Book Fair) was an event funded by the Portuguese Embassy and managed by IDA. 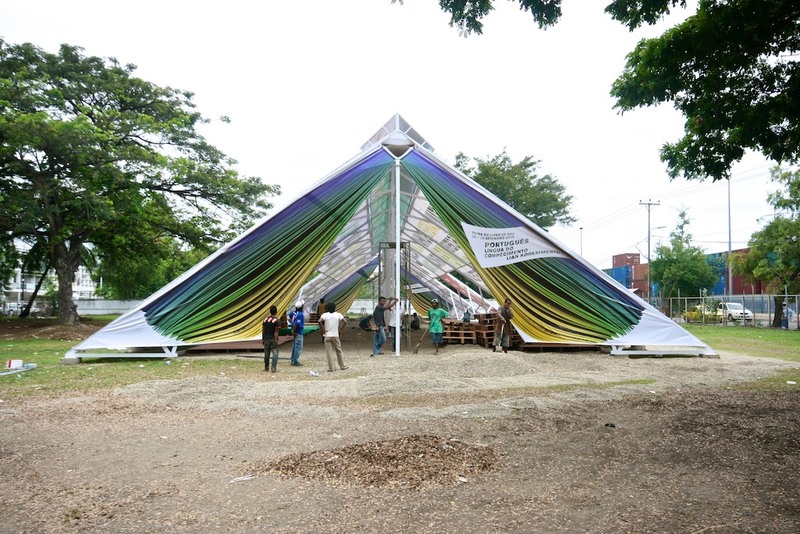 David was commissioned to design the large graphics for the 100m tent, as well as the signage and printed programme. 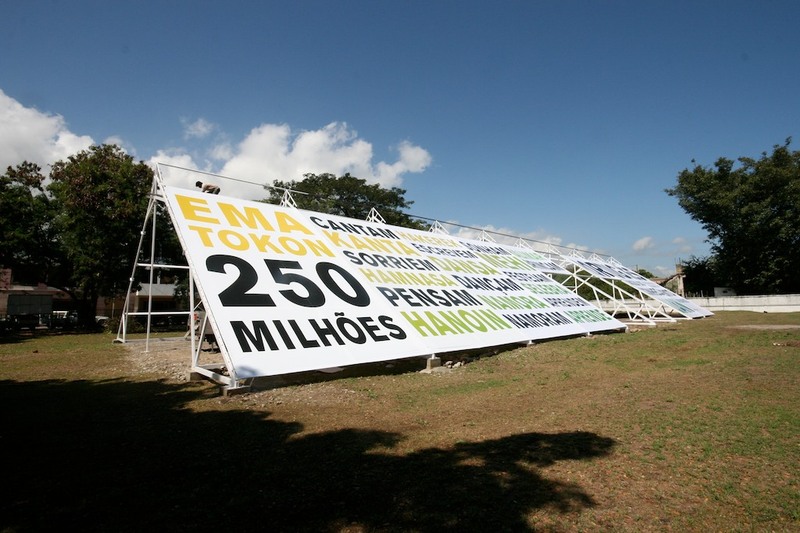 Additionally, he also made a TV advert to promote Portuguese language during the 2010 Dili Book Fair in Timor-Leste. 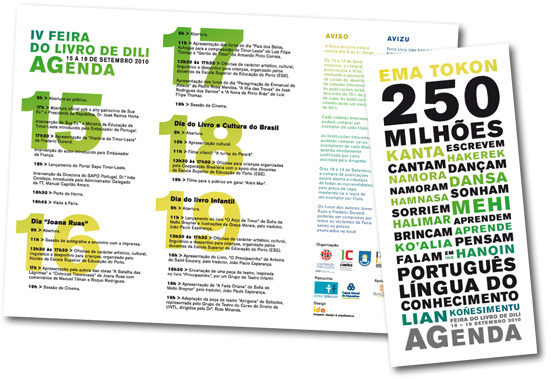 The ad was titled Homenagem a Saramago (Tribute to Saramago in Portuguese), made in collaboration with João Ferro from IDA, who wrote the script inspired by 16 book titles from José Saramago, recipient of the 1998 Nobel Prize in Literature.